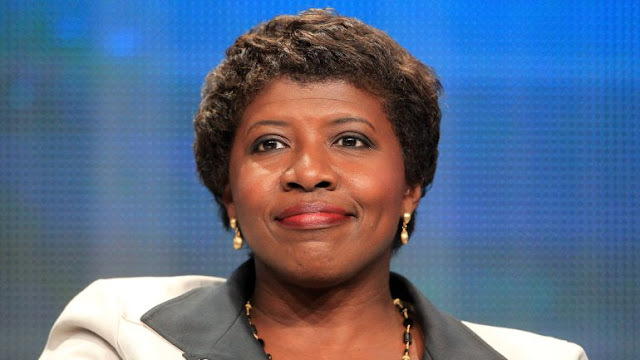 Gwen Ifill, the longtime PBS news anchor who had served as a co-host of PBS’s NewsHour and as moderator of “Washington Week,” has died after a battle with cancer. She was 61. It is with extremely heavy hearts that we must share that our dear friend and beloved colleague Gwen Ifill passed away this afternoon following several months of cancer treatment. She was surrounded by loving family and many friends whom we ask that you keep in your thoughts and prayers. “Gwen was a standard bearer for courage, fairness and integrity in an industry going through seismic change. She was a mentor to so many across the industry and her professionalism was respected across the political spectrum. She was a journalist’s journalist and set an example for all around her. So many people in the audience felt that they knew and adored her. She had a tremendous combination of warmth and authority. She was stopped on the street routinely by people who just wanted to give her a hug and considered her a friend after years of seeing her on TV.